Former Newcastle United defender Olivier Bernard will take charge of Durham City when they face Heaton Stannington at Hall Lane on Saturday. The Northern League Division Two club are currently looking for their third manager of the season after former boss Wayne Gredziak departed in the aftermath of last weekend’s 2-0 defeat at fellow strugglers Brandon United. The club released a statement within hours of the full-time whistle confirming Gredziak’s decision to step. It read: “Following this afternoon's 2-0 defeat at Brandon United first-team manager Wayne Gredziak has tendered his resignation and stated he would like to give someone else the chance at managing the squad. The defeat against Brandon left the Citizens stranded at the bottom of the Division Two table and they have lost their last eight games in all competitions. Club chairman Bernard will now step into the dugout for Saturday’s game against the in-form Tyneside outfit, but confirmed that the club’s committee are working towards appointing a new manager. He told the Echo: “I will be taking charge for the game on Saturday, but we are currently working through a number of applications and speaking to a few managers that have expressed an interest in the role. The visitors make the trip to Hall Lane in fine form after winning 12 of their last 14 games in all competitions. Bernard has a number of issues to contend with ahead of the game, not least the fact that injuries and holidays have ruled up to 10 of his players out of the game. 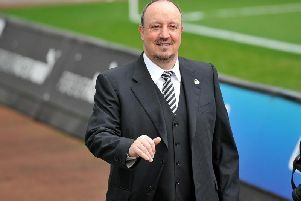 The Echo understands that the former Newcastle United left-back could remain in charge until a permanent manager is found, although the Citizens are confident that an appointment will be made in the near future.